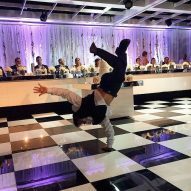 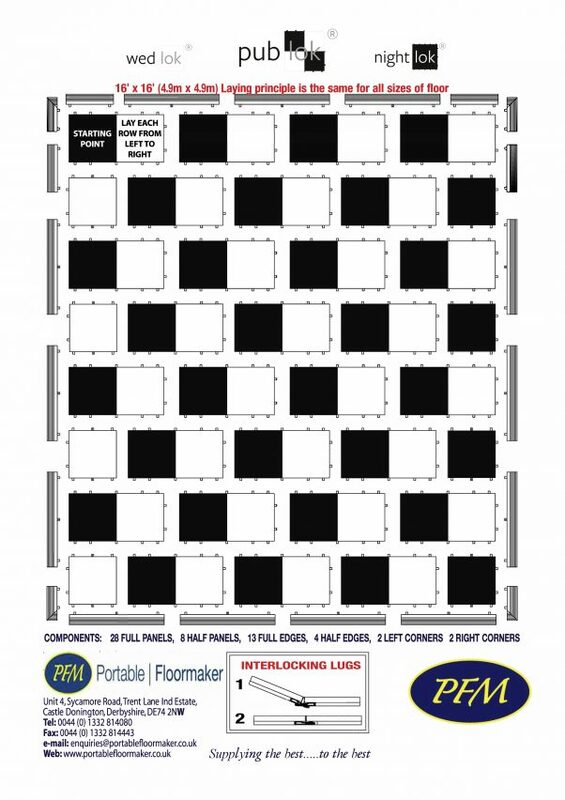 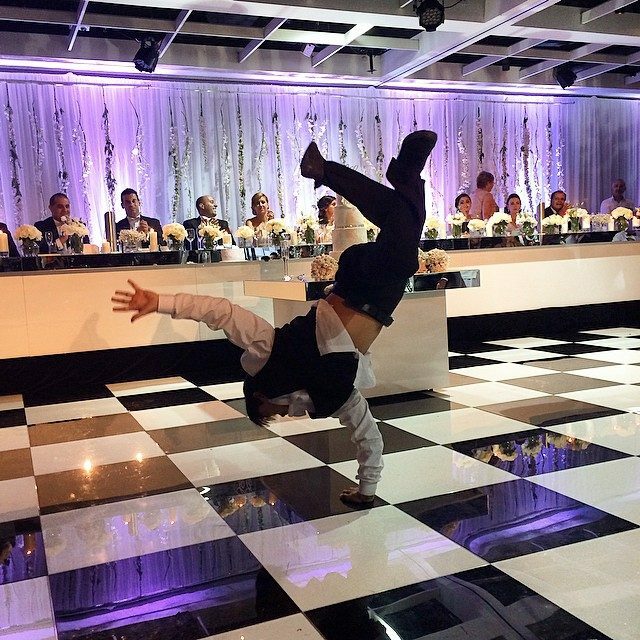 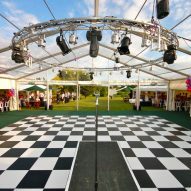 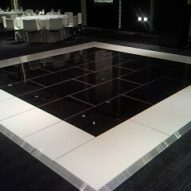 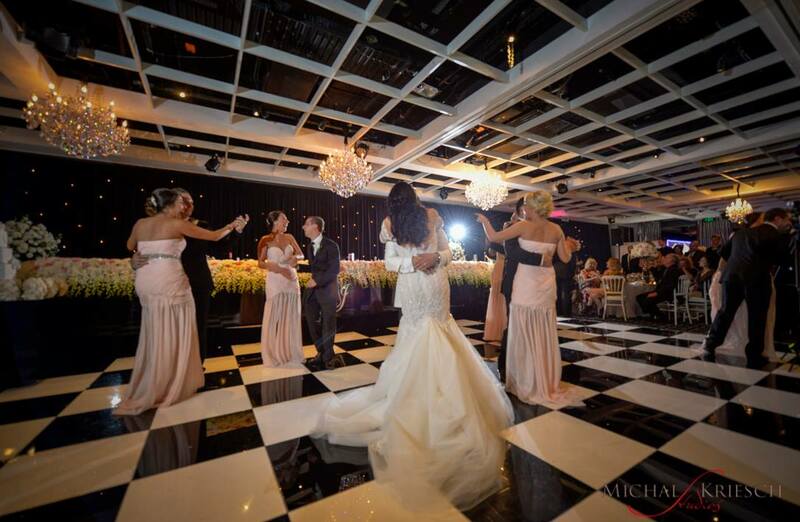 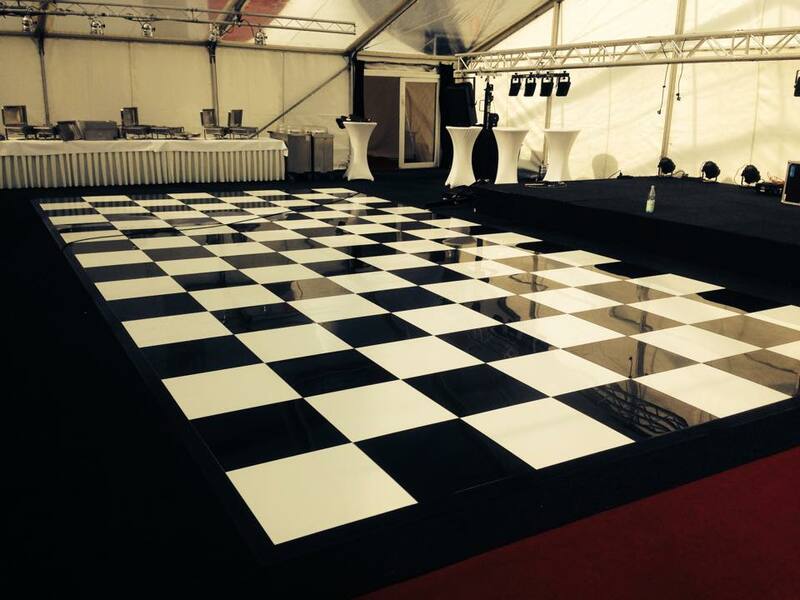 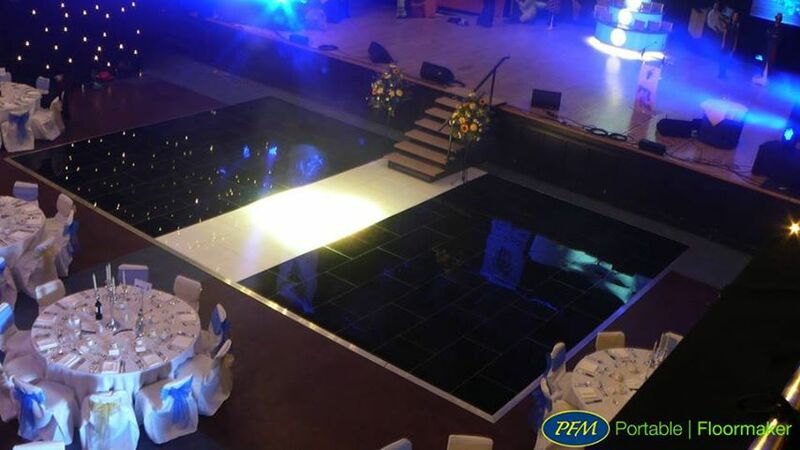 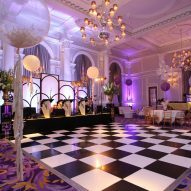 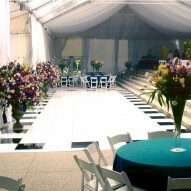 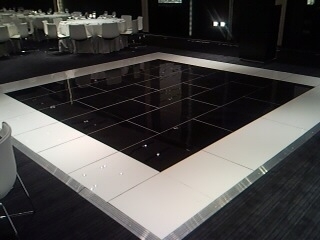 Publok® black & white checkerboard dance floor for stunning results! 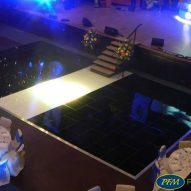 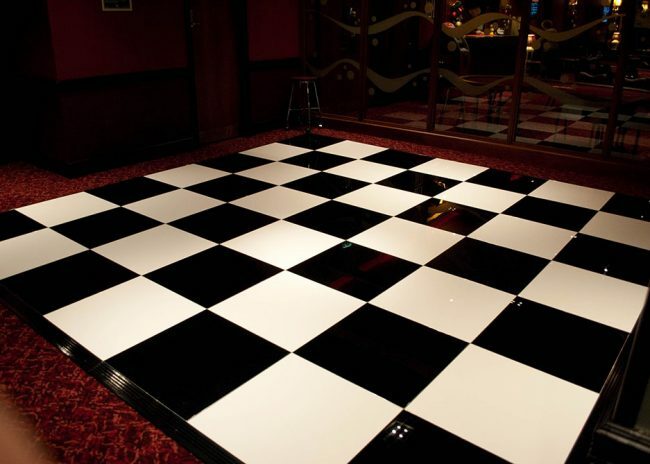 Acrylic dance floors allow you to be more artistic and creative meaning your facility can be more flexible in these times of hard competition with your neighbours and competitors. 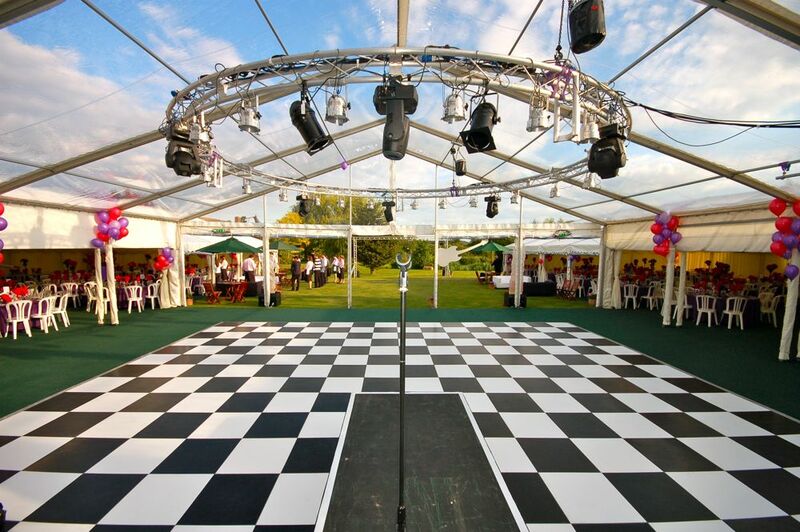 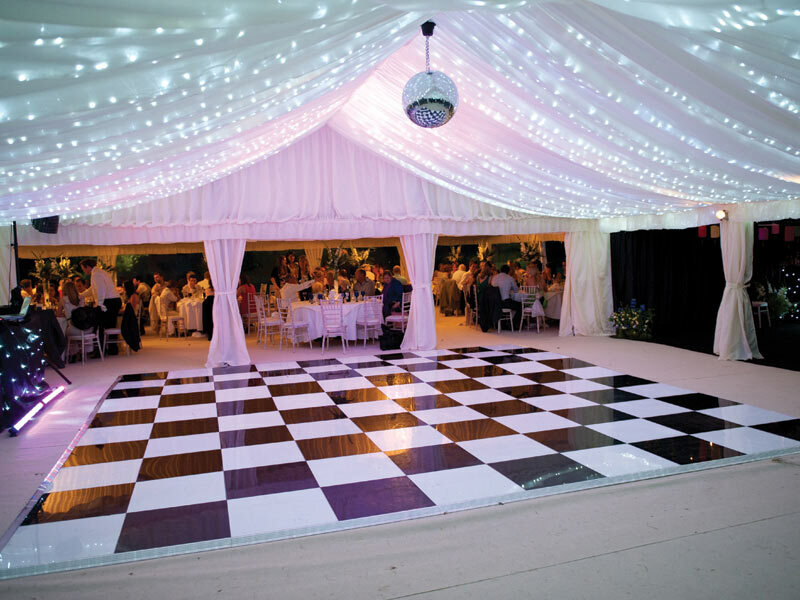 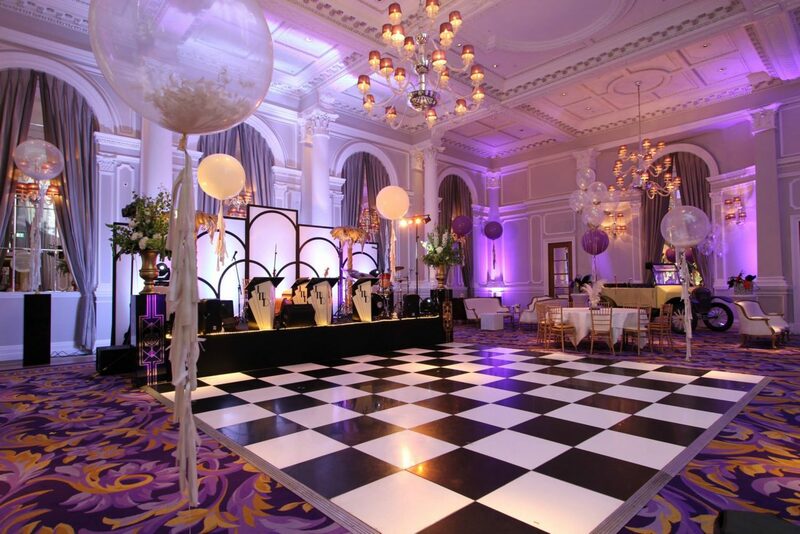 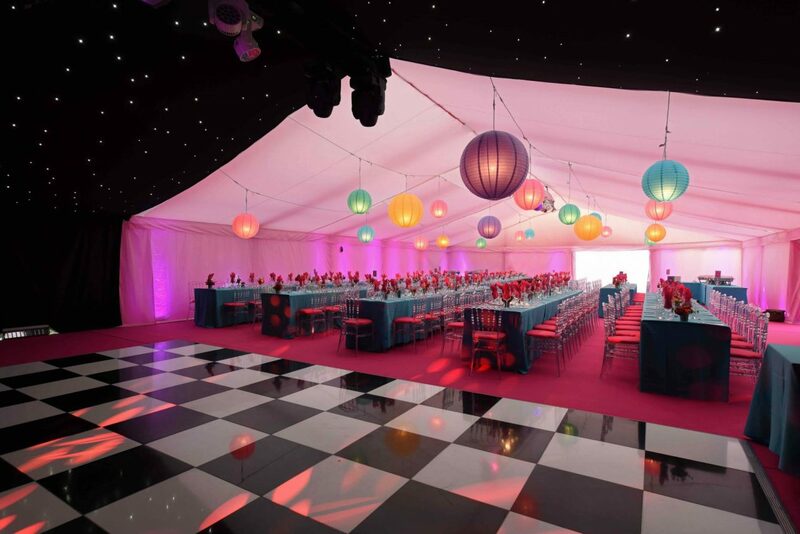 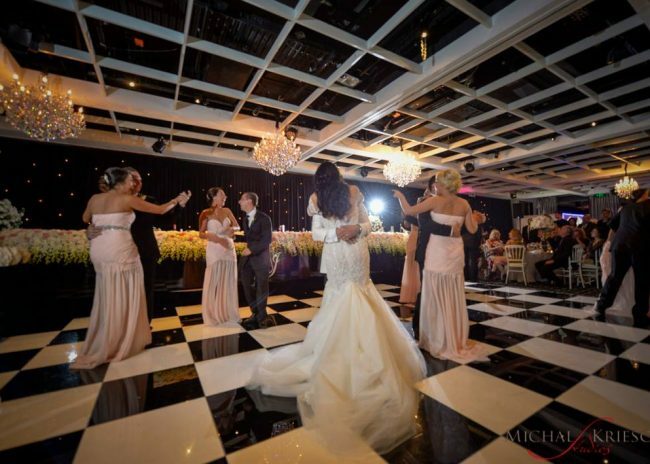 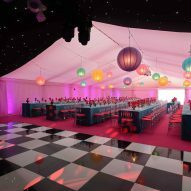 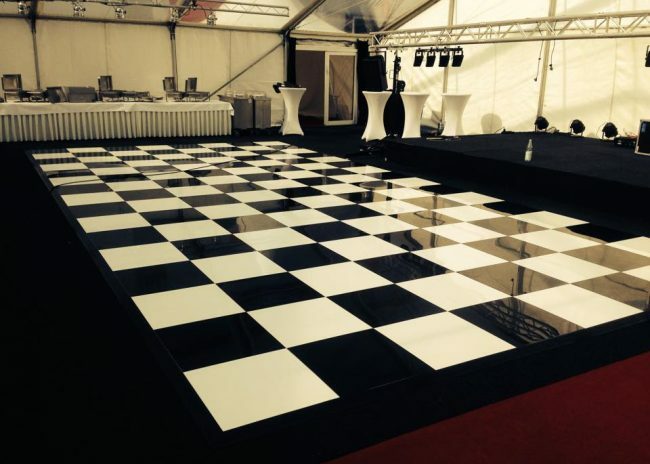 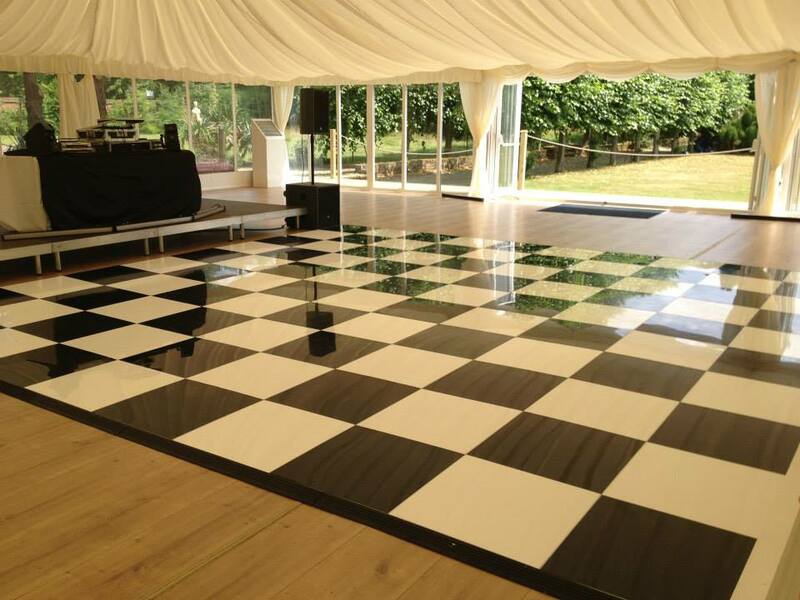 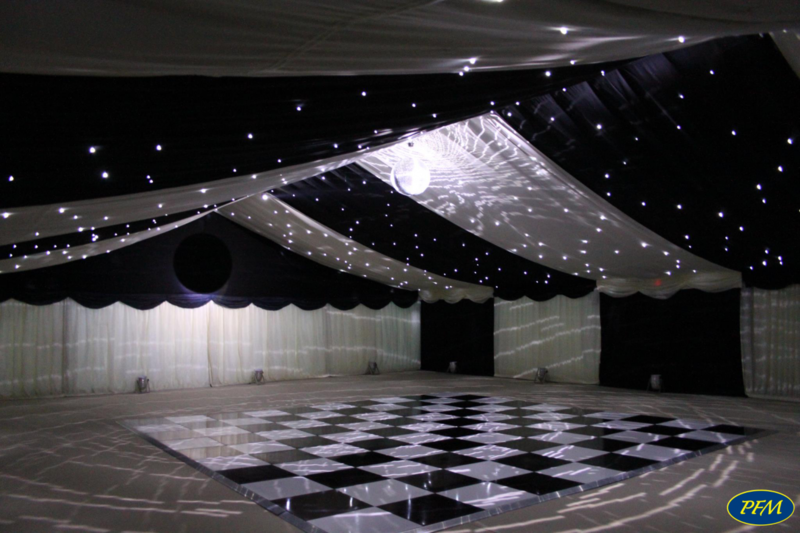 Choose a black and white checkerboard effect to offer stunning visual floors for your guests or choose a full white dance floor which was specifically designed for wedding receptions. 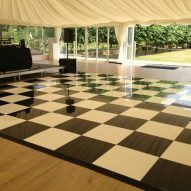 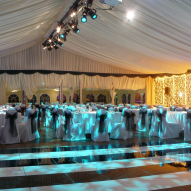 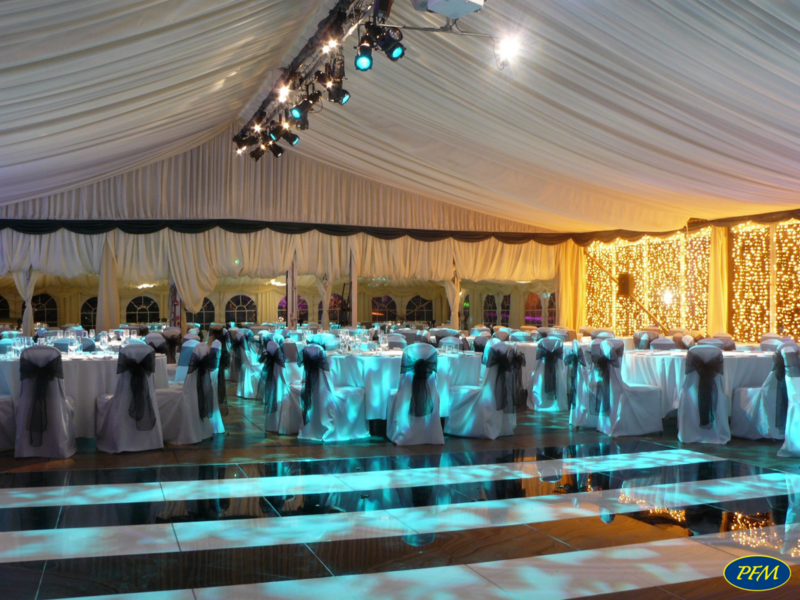 A black dance floor just adds that bit of flair at birthday celebrations, corporate events, coming of age parties etc. 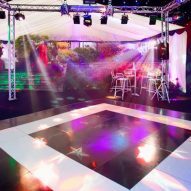 All dance floors, whatever colour option you choose are available with standard silver edging or the in-house powder coated black edging which sets the finishing touches to your event. 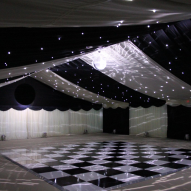 The unique interlocking or brickwork design of the panels ensures that the panels are fully secured and under normal conditions, will not part during use whilst eliminating the need for screws and tolls which in turn offers faster a set up and break down. 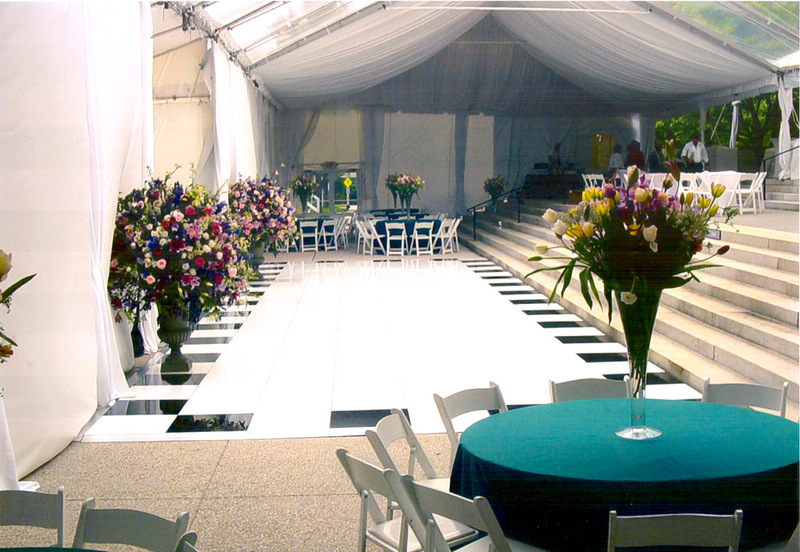 The moderately sloped edging is wheelchair accessible. 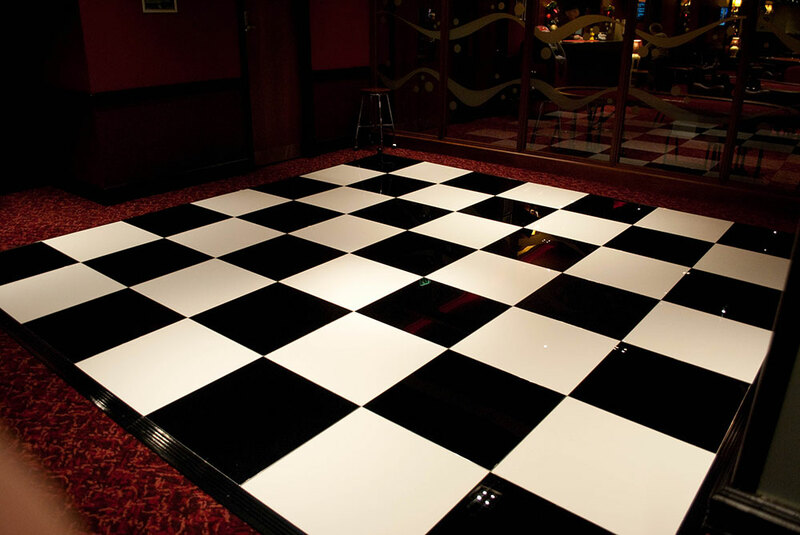 If you wish to design your own floor in black and white with borders or even as a striped effect, let us know what you would like to achieve. 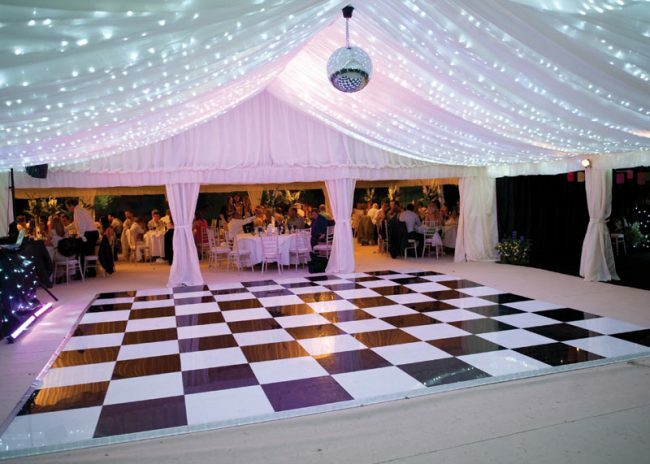 Why not add powder coated edging in black or white to enhance the effect?